Here is Jesse Quick. 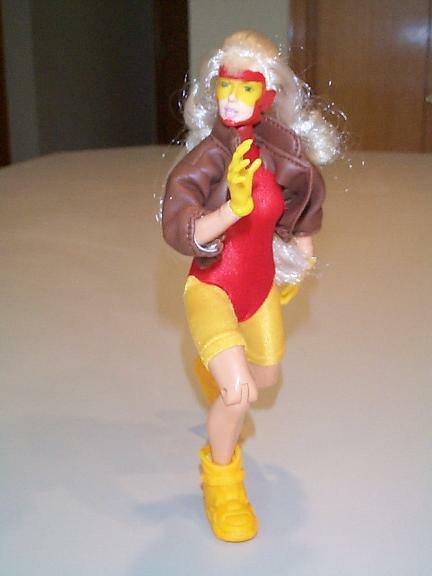 Daughter of Johnny Quick, who like her father gains her super speed by speaking the mathematical formula: 3x2(9yz)4a. Jesse is a scholar on speedsters. 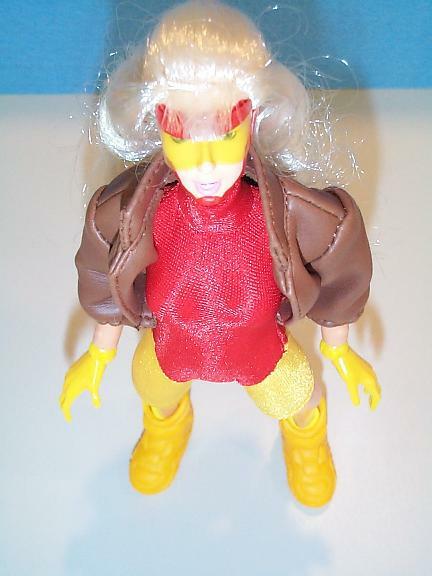 She also was briefly named to be THE Flash. 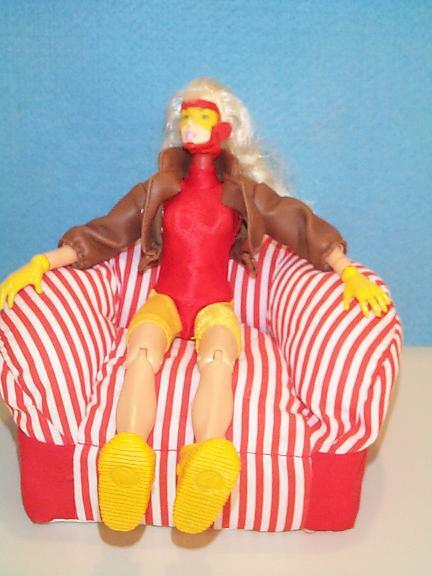 But she was only being used by Wally, and held it against him for awhile. The costume was made by me, except for the jacket which came from an Famous Cover Rogue figure. 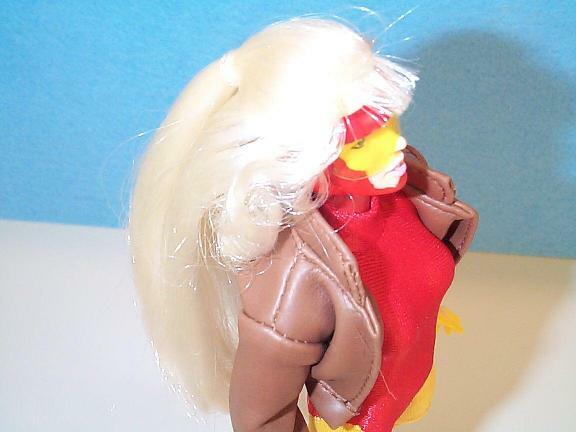 The head came from a Austin Power's Fembot, which is pretty much in scale with the Famous Covers. I had to carve the FC neck pin a bit to get it to fit. Its gotta be the shoes. 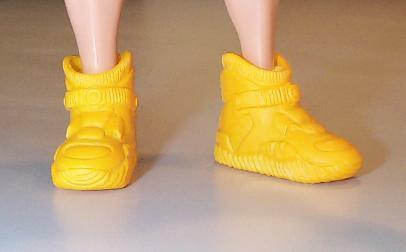 The boots came from an Action Man accessory pack. I tried to shrink them with acetone, and I think they did get a little smaller, but are still quite large for Jesse. I put a little foam insert in the boots to hold them in place. The goggles is just a transparency, printed yellow, and cut out into the right shape. After a long run, Jesse like to kick back in her favorite chair!